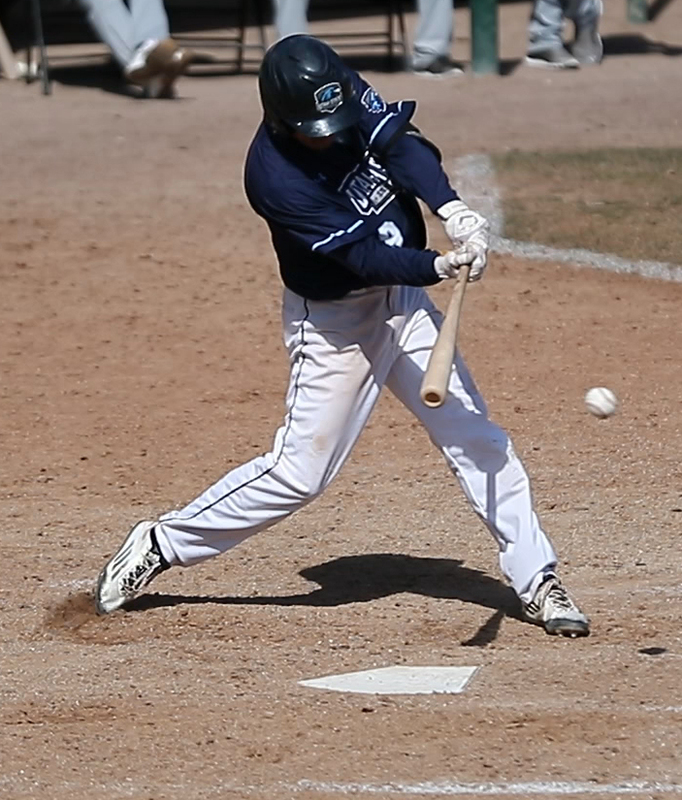 The Utah State University Eastern baseball team continued conference play this past weekend against Salt Lake Community College. The winner of this crucial series would take full control of second place in the Scenic West Athletic Conference. Game one showed the resilience this group of Eagles has. Down by four runs early, the Eagles got on the board in the third inning with an RBI single by sophomore Jesse Rowley, scoring Colin Wilson. Later in the inning, a walk with the bases loaded scored Ryan Curtis. After the third inning, the Eagles would go toe-to-toe with SLCC until the final inning. The Bruins scored one in the top of the fourth, and an RBI single from Steven Ortiz brought in TJ Bender for the answer in the bottom of the fourth. SLCC scored two runs in the top of the fifth and the bottom half of the fifth, Jarrett Hunt drove in Chandler Barkdull and Cole Fossat for the Eagles, keeping the deficit at two runs. SLCC would put up two runs in the sixth inning and again be matched by the Eagles. In the seventh and final inning, freshman pitcher Jaxon Smith shut down the Bruin’s hot bats and held them to no runs, setting up for a thrilling final inning with the Eagles down 9-7. Fossat led-off the inning with a solo home run to right field, followed by a single from Hunt and a single from Bender. The two would move into scoring position from a wild pitch and with one out, Steven Ortiz hit a single to score both runs and win the game 10-9. The rest of the weekend didn’t go as planned, as the Eagles lost the next three games to lose the series. Game two saw an early 3-2 lead for the Eagles, but a six-run fourth inning for SLCC broke the game open. Six-strong innings from freshman pitcher Zach Fitch, and the hot bats of the Eagles would keep them in the game, but eventually ended in a 12-9 loss. On day two, the Eagles bats went cold. Recording three hits in game three and two hits in game four. The Eagles defense faltered as well committing 10 errors that day. Eastern (20-19,12-11 SWAC) heads to Las Vegas to battle for third place this weekend against the College of Southern Nevada (30-12, 12-8 SWAC). They look to bounce back on the road and get some swagger back.